Cells at Work! 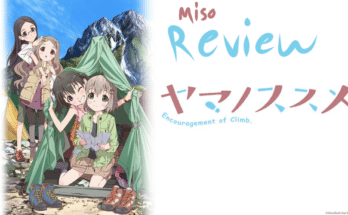 Episode 1 | The Miso Review - miso! One of the series that most caught my eye this season was Cells at Work (or Hataraku Saibou). The show offers a similar premise to the likes of Pixar movie Inside Out and Korean webtoon Yumi’s Cells because it shows all the little things going on inside us humans through the use of colorful characters behind it all . However, unlike those examples, Cells at Work focuses not on the mind, personality, or story of a single human. Instead we get to see how the body itself functions. From blood cells to bacteria this show could be the most fun biology class you ever take. 01 “Pneumococcus” A quick look. To start things off we’re introduced to our protagonist, a Red Blood Cell, as she brings oxygen to the arteries. At first everything seems fine and well but only moments after making her delivery she is assaulted by Pneumococci! Luckily, White Blood Cell saves her in the nick of time. Though the utterly merciless shout of “Die, germ!” and blood splatters probably only made her more freaked out. Red Blood Cell thinks that’s the end of her scary run-in with bacteria and she’s soon hard at work again. At least she would be, if she knew how to get to the lungs. On her desperate search she stumbles across none other than an escaped pneumococci…then walks away, trying to just ignore it. Despite these efforts she’s attacked yet again. White Blood Cell jumps into the fray but before he can properly exterminate the bacteria it disappears. White Blood Cell knows it will be heading for the lungs but unlike Red seems to actually know where those are. The two blood cells team up and aim to complete their tasks before it’s too late. The first Cells at Work! episode was a fun, brief look into the world of the series. The character and environment design is one of the most impressive parts so far. 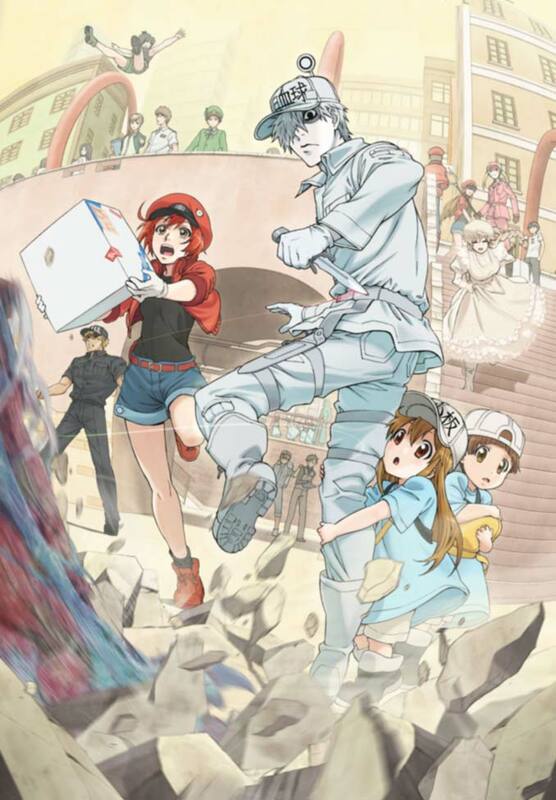 From the leads, Red Blood Cell and White Blood Cell, to the small, adorable platelets the character design is simple but memorable with interesting inspiration drawn from their real life counterparts. Likewise, the backgrounds have pleasant color schemes and fun twists on locations in the body such as tree house dendrites. 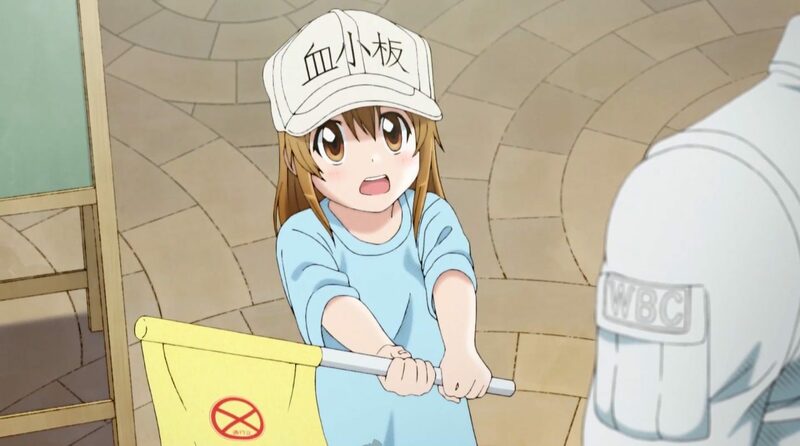 Cells at Work!’s version of a platelet. The dynamic between the flustered Red Blood Cell with a bad sense of direction and the mildly intimidating, but helpful White Blood Cell is another highlight of the show. Their interactions are already entertaining and hold a lot of opportunity! 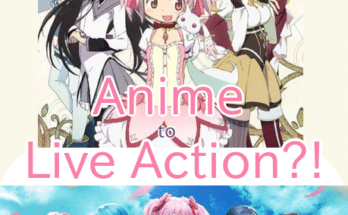 The anime’s comedy style is simple but enjoyable and well amplified by the creative premise as well as the characters. Right now with just the first episode Cells at Work! 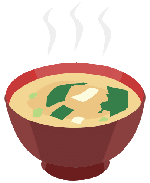 sits at a solid 3/5 miso soups. 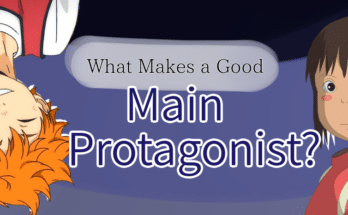 Overall it was a great beginning to the show that definitely makes me intrigued enough to watch more. This has been The Miso Review. Did you watch the first episode? If so, feel free to comment with your thoughts on it below! We’d love to hear them.